Our target market ranges from surgical tubing producers to independent compounders. This extensive array of customers and their different applications require specialised rubber and latex grades, sourced from a wide range of suppliers, professionally handled and distributed to their production sites. Our full-suite distributors consist of some of the oldest and well-respected names and our logistic solutions across Europe and North America support the global needs of our clients. Alan L Grant is the leading supply chain manager to the North American rubber industry. We deliver unrivalled value to our customers by ensuring a seamless handling and delivery of synthetic and natural rubber, natural latex and other rubber ancillary products. Our customer base covers all segments of the industry, from automotive to tape, from tire to compounding and from medical to balloons and rubber bands. This diversity, combined with the fact that we source from every rubber producing origin, opens the door for detailed analysis of global market inputs, which enables us to provide that ‘global reach, local touch’. Our existing team has close to 200 years of combined experience in ensuring a reliable and secure supply chain. We recently received an award from one of our Fortune 500 customers for winning the “Service Quality Supplier Award”. Centrotrade has a leading role in the distribution of natural rubber, supplying some of North America’s most established industry members with their exclusive marketing rights to two SIR factories, SCX and SEA. In 2017, the team assumed an exclusive global marketing role for Corrie MacColl’s plantation business, modified to prioritise the production of concentrated latex and latex grades. The tactical shift extends the benefits of Centrotrade’s established leading role in latex distribution, to the Group’s core plantation asset. Centrotrade is the technical marketing arm of the Group with an unrivalled global network of offices. A dedicated office in Asia, within the hub of natural rubber production, ensures constant proximity to supply, while our distribution offices in Europe and North America maintain long-standing relationships with our customers. Logistical assets including warehouses, tank storage and hot rooms in key locations offer just-in-time delivery of ready-to-use products. Momentum Technologies International (MTI), our subsidiary for the distribution of synthetic rubber, provides strong technical support, market intelligence, technological innovation and the logistical and sales support needed to meet and exceed our customers’ expectations. We started as a small company with a regional presence to now a recognised global leader in the market. Our focus is to continue to be an experienced distributor of polymer and additives for asphalt paving, roofing, coatings and adhesives, as well as developers of innovative materials and services that meet the evolving needs of our customers. We are committed to being a trusted partner for suppliers to the North American marketplace. 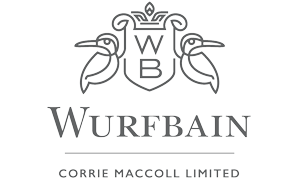 Established in 1897, Wurfbain has been trading for over 120 years. With excellent storage facilities close to all major European Ports, and being headquartered in Zaandam, The Netherlands, Wurfbain has emerged as the region’s champion for all things rubber. We offer a comprehensive range of customer services using our network of subsidiaries, associated companies and representative offices, both in producing and consuming countries. Our global market perspective offers detailed supply and demand analysis. Our market expertise offers technical advice and support, and our reliable, secure, efficient and sustainably committed rubber supply chain from producer to customer offers just-in-time delivery, served by freshly- stocked rubber and latex in strategically held storage facilities.